Don't get caught by the bug- come in and talk to Dr Tobi about proactive protection for the immune system! Dr Jeurink was born and raised in the small northeastern town of Wray, Colorado. She grew up battling arthritis and autoimmune conditions and learned early on that most medicines are for symptoms, not for improving your health. She attended Pittsburg State University in Kansas and graduated with a Bachelor’s in Biology. In 2001, she graduated from Cleveland Chiropractic College and shortly after, purchased a Chiropractic clinic in Gardner, KS. Dr. Jeurink’s postgraduate education includes Acupuncture and Applied Kinesiology. In 2004, she earned the Fellowship International Chiropractic Pediatric Association (F.I.C.P.A.) certification and in 2008, she completed a three year postgraduate program to become a Diplomate of the American Board of Chiropractic Internist (D.A.B.C.I.). Dr Jeurink is a member of the International Chiropractic Pediatric Association and the American Chiropractic Association (ACA) Council on Diagnosis and Internal Disorders where she also serves as President of the American Board of Chiropractic Internists testing committee. 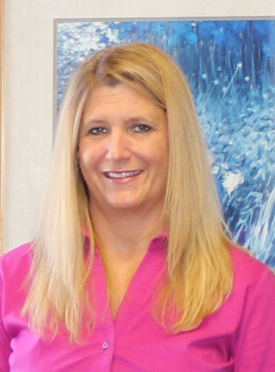 She is the Vice-President and Medicare Co Chairperson for the Kansas Chiropractic Association (KCA). She serves as the Kansas Delegate on the ACA House of Delegates and serves on the Medicare Committee. Dr Jeurink is also an instructor in the Diagnostic Sciences Department at Cleveland Chiropractic College where she teaches Clinical Lab Diagnosis, Dermatology and Clinical Nutrition. She recently received recognition for her service of 10 years. She has also been awarded as the KCA’s “Young Doctor of the Year” (2006) and KCA’s “Doctor of the Year” (2010). Most recently (2015) she received the Strehl/Kessinger Award by the CDID for her service on the ABCI board.